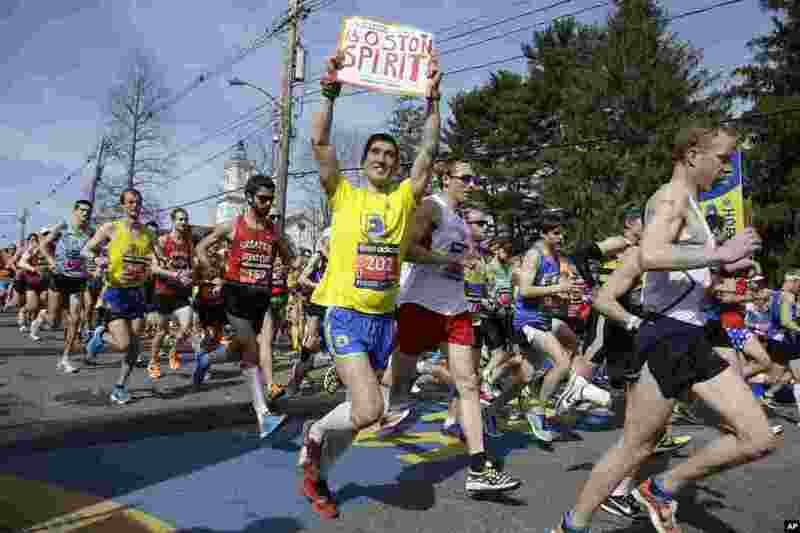 5 Runners in the first wave of 9,000 cross the start line of the 118th Boston Marathon, in Hopkinton, Mass., April 21, 2014. 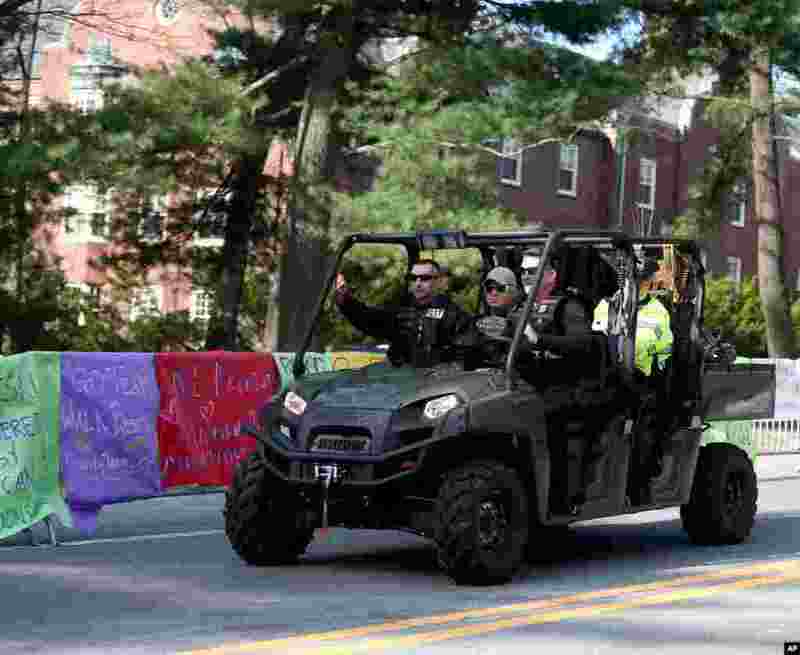 6 A State Police Special Response team patrols past posters of encouragement at Wellesley College before the start of the 118th Boston Marathon, Wellesley, Mass., April 21, 2014. 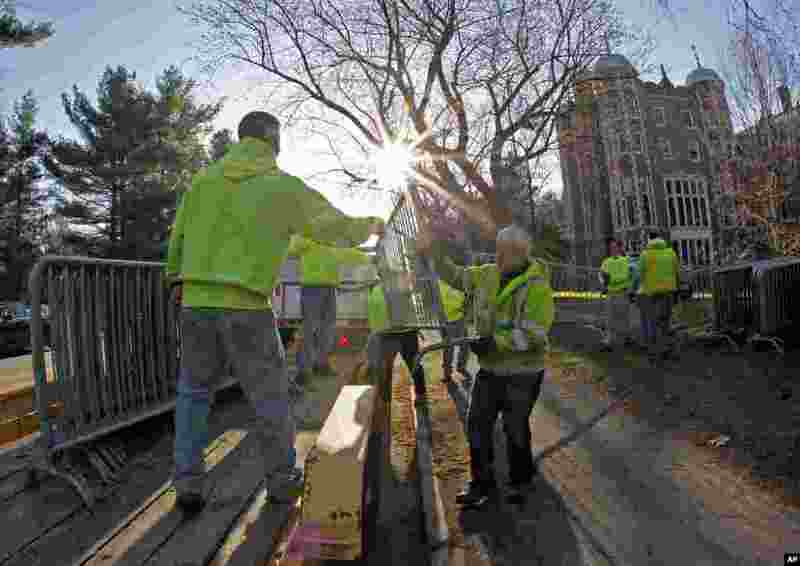 7 Workers move security gates into position in front of Wellesley College in the early morning before the start of the 118th Boston Marathon, in Wellesley, Mass., April 21, 2014. 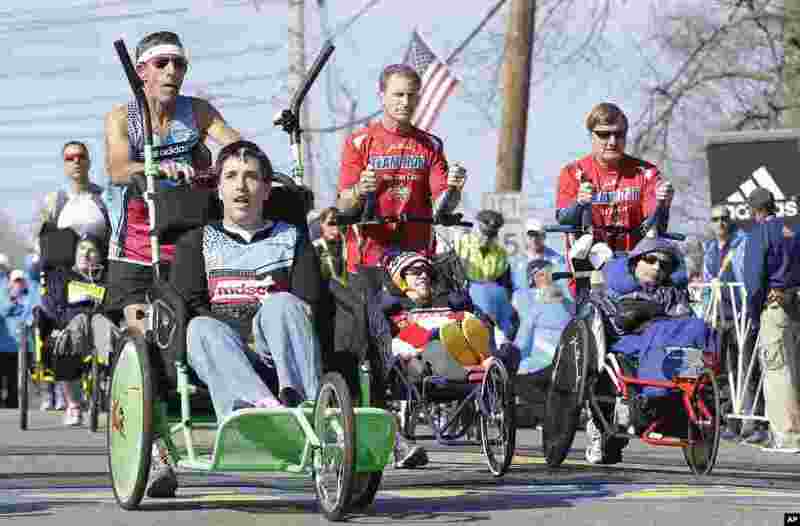 8 Participants in the wheelchair division of the 118th Boston Marathon start their race, in Hopkinton, Mass., April 21, 2014.